At Medina Family Dentistry, our team is dedicated to helping patients achieve and maintain their healthiest smiles at every age and stage of dental development. From general and preventive dentistry appointments for every member of the family to a number of advanced treatments to repair or renew smiles including same day dental restorations and implant supported tooth replacement, Dr. Allan Milewski and his team provide comprehensive, trustworthy, and effective dentistry services in one convenient location. 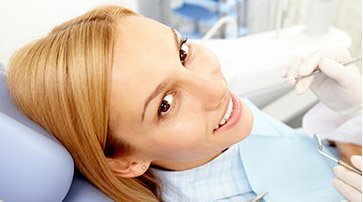 We utilize the latest dental techniques and technologies to renew oral health and keep patients smiling. If you’re new to Medina, Brunswick, or surrounding Ohio communities, we’d love to offer your family high quality dental care for healthy smiles that last a lifetime. Contact Dr. Milewski and his team to find out more about our comprehensive dental services or schedule an appointment today. We can’t wait to help you get the healthy, happy smile you deserve.